Ohhh man! I joined Life Book this year and it's such a cool course. But I'm way behind (moving to a new state and starting a new job/career does that to you I guess) and wasn't planning to renew next year and instead work through the old material. But now that I know you're going to be teaching, it's a lot more tempting! 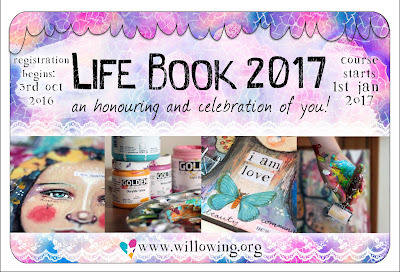 I joined Lifebook last year, as a way to keep myself occupied after serious illness made working impossible. I never could have dreamed what a blessing this would turn out to be. I grew so much both as an artist and as a person, I still am a bit in disbelief of what happened. I even sold some works at an online gallery. But despite all this, I am still so new to art that I have to learn much more. I can't think of a better way than to do this with Lifebook, as all those incredible teachers all have their specific input, and help us grow even more. Looking forward to your lesson, please add me into your drawing. This media may be a good book to convey the good things that will happen now.